Auto racing is a sport involving the racing ofautomobiles for competition. There are numerous different categories of auto racing. 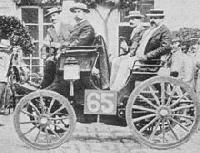 Auto construction and racing dominated by France, the French automobile club ACF staged a number of major international races, usually from or to Paris, connecting with another major city, in France or elsewhere in Europe.